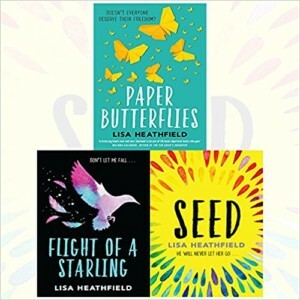 Today I am proud to bring to you a fab Q&A with debut author of Seed (published 16th April 2015), Lisa Heathfield! I have to admit I was over the moon when Electric Monkey contacted me and asked me if I would like to be part of the blog tour for this book! My fingers could not type fast enough to reply “Yes please”! I LOVED this book so much! Most of you may actually already know this from my constant ramblings and saying “read it immediately!” tweets on twitter! It’s been a few weeks since I read Seed and the feelings I had whilst reading the book and after finishing the book are still with me now! The sign of a fab book don’t you think? 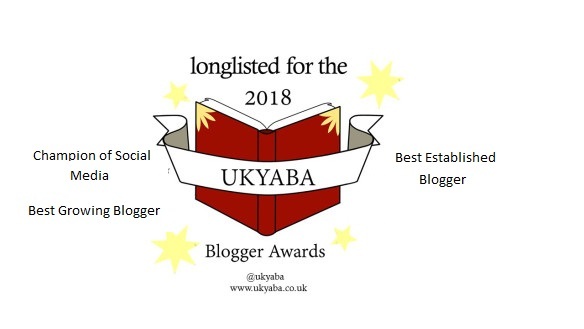 I was lucky enough to meet Lisa back in February at the Electric Monkey Blogger Day (you can find out what we got up to here ) and since then we have kept in regular contact and managed to have a catch up at the UKYABA in March. I can honestly say Lisa is so so lovely and it feels like I have known her longer than I have. I feel so privileged to have met her and get to know her. So join me talking to Lisa all about Pearl, Papa S and the world of Seed, more about Lisa and an infamous trip to Tesco! A huge thank you to Electric Monkey for having me (especially Maggie for putting up with my fan girl emails!) and another huge thank you to Lisa for answering all my probing questions! Hi Lisa. Welcome to Tales Of Yesterday. 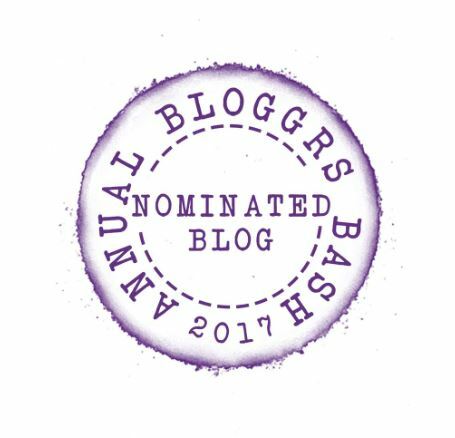 Thank you so much for featuring on my blog…I am unbelievably excited and over the moon to have you here! Firstly, thank you for writing such a stunning and beautifully written book with Seed…..it took my breath away and broke my heart…a precious gem of a book! I have been recommending this book non stop since I read it and it is going to be in my top ten on books I’ve read in 2015 at the end of the year! Can you tell us a little about Seed? Seed is a small, idyllic community. They live in beautiful surroundings, grow all the crops they need to survive and are happy to be cut-off from the Outside. They do not follow a religion – instead they worship Nature and obey the rules of their revered leader, Papa S. On the surface, it could be described as a utopia, yet not far beneath there’s a darkness which threatens to destroy them all. What inspired you to write the story of Pearl and the community of Seed? I’m not sure where it came from! I was writing another book, when Pearl appeared to me and asked that I write her story instead. With her, came Seed. I had no idea where the story was going to lead – I just held my pen and as I wrote, it was as though I was reading it for the first time. Do you see yourself in any of the characters in Seed or have you used any of your own experiences in the story? I don’t see myself in any particular character, although I can definitely see myself being tempted by the good parts of a world like Seed. Although I live in a city, I do also love the more simple life. And I worry about what modern living is doing to our planet – I don’t think it would hurt if we all paid a bit more attention to Nature. The scenery and location of Seed reads so beautifully…was this based on a particular place? The location of Seed really is beautiful. I loved spending so much time there (before the darkness, of course). As with Pearl, it came to me ‘fully formed’. So, although it’s not based on a particular place, it was always completely vivid to me. How do you think you would react if you were cut off from the outside world, living in a world or community where you are dependant upon Mother Nature? Part of me thinks that I would love it. The modern world does fry my brain slightly, so it’s definitely appealing to think about a place without computers and mobile phones! 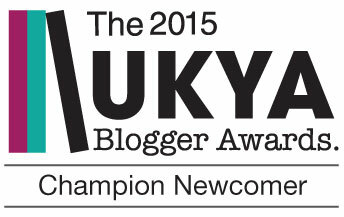 And I love the idea of a strong community, especially a self-sufficient one. However, I think in reality I would find it too claustrophobic. I would need to have a bit of space. And if I ended up in a community with someone like Papa S, or Kindred John, that would be pretty horrific. 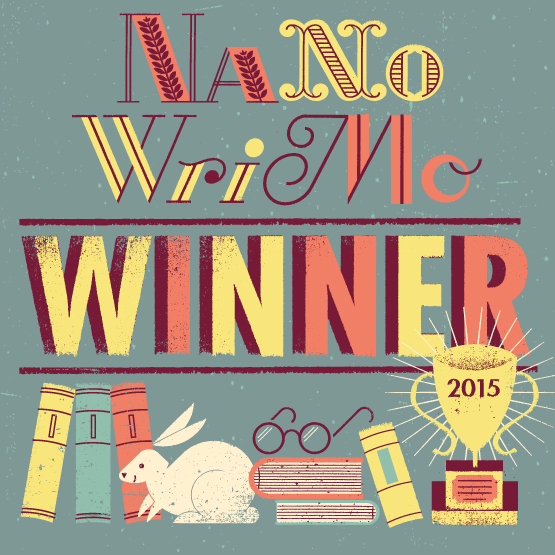 As a reader I hated Papa S with a passion…did you find writing his character hard? He’s hideous, but I didn’t find writing his character difficult. I think it’s because I genuinely believe that I don’t really do the writing – I just hold the pen and my writing spirit does the rest. 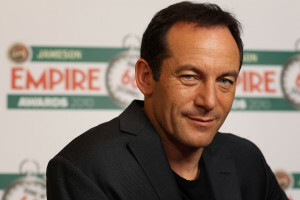 I always knew that he was horrible, but it’s only reading back now that I realise quite how creepy he is. 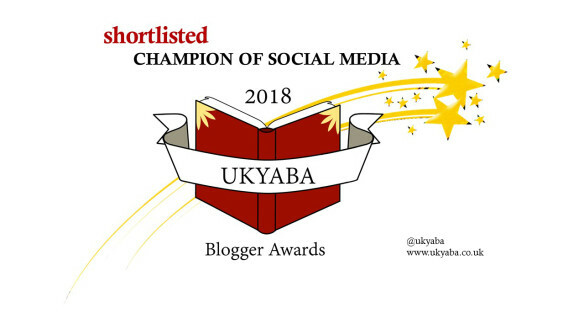 Without spoilers I loved the story you told at the Electric Monkey Blogger Day about when you were in Tesco and an idea for Seed came to you….can you tell us about that? Well, I didn’t plot Seed, but I think that it was often rumbling round in my subconscious. One day, I’d just come out of the supermarket and was wheeling the trolley to my car, when, like a bolt of lightning, I suddenly realised what was going to happen to one of the characters. I was so shocked – I’d love to see a recording of my reaction! I stopped short and I’m pretty sure I yelled something out. I would have loved to have seen your reaction too! Especially when you have since told me which part of the book this was about! I would love to Seed on the big screen! If you could cast your characters in a big Hollywood film adaptation who would you choose? It would be amazing, wouldn’t it! 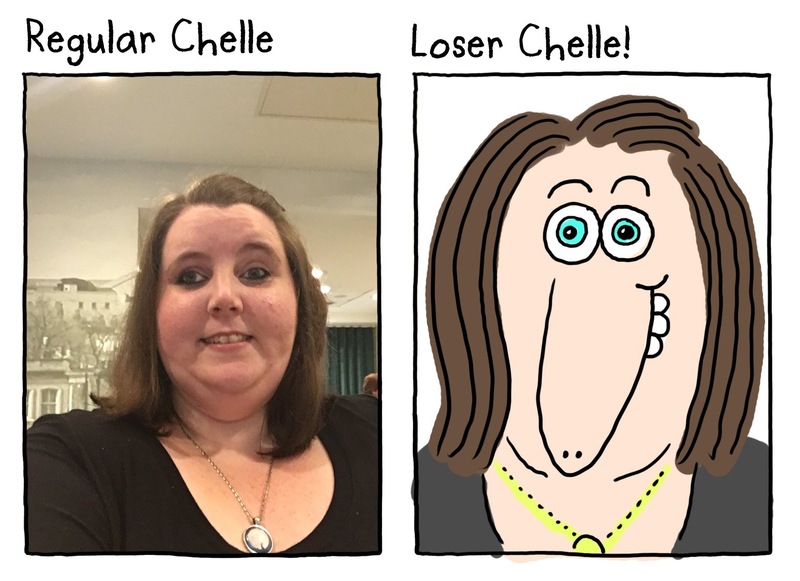 I’m going to cheat a bit with some of my answers, because on the blog ‘Forever young Adults’, Jennie chose three characters almost perfectly. 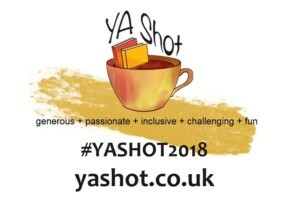 Being a debut author can you tell us a little about yourself? Well, I live in Brighton with my husband and three sons. 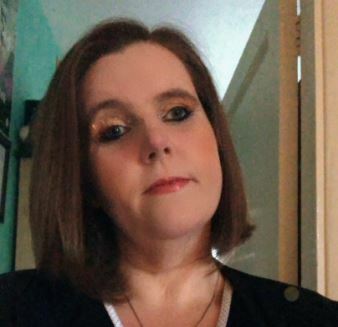 I used to teach English in a secondary school, spending the last couple of years when I was there specialising in teaching hearing-impaired children. I grew up in a large family and was always reading and writing. From a young age, I dreamt of being an author, but up until recently no one had ever read my writing. Never in a million years did I think I’d be good enough. So the fact that I’m being published feels extra unbelievable to me. 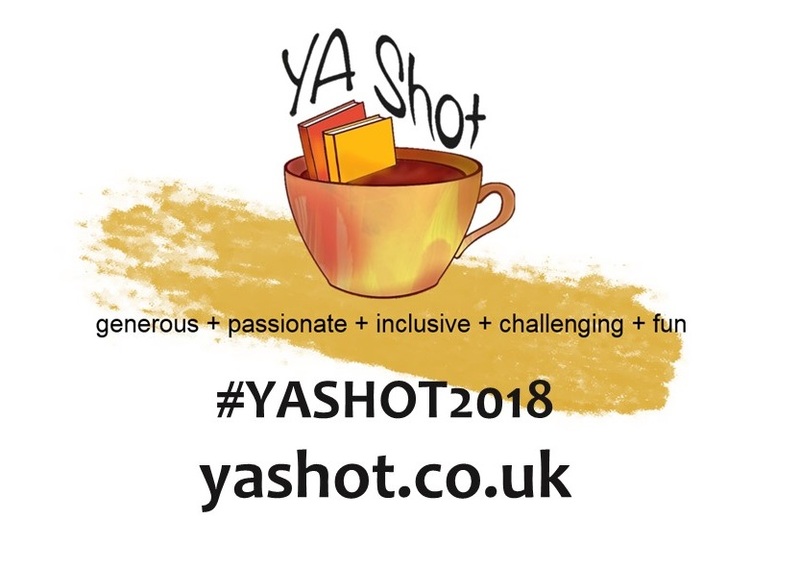 Recently I asked some lovely UKYA authors their thoughts about does music influence their book or their characters. Did music have any influence in Seed? I like to write without music – I love silence! And I didn’t find myself connecting any music to Seed, as the community is so detached from any form of ‘popular culture’. However, there is music within it and I love the way that Ellis’ piano playing unlocks something in Pearl. These are some of my favourite scenes from Seed! Thank you so much Lisa for taking the time to answer these questions and feature on Tales Of Yesterday. 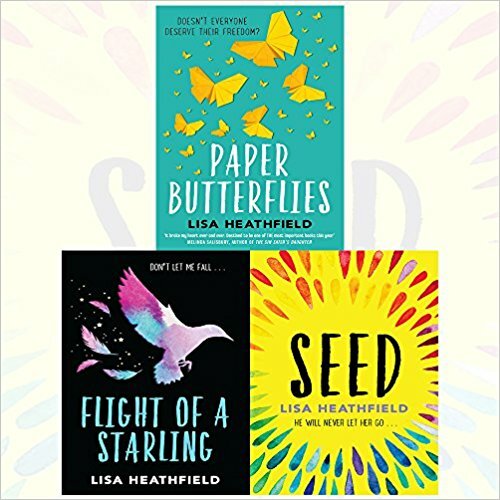 It really is an honour and I can’t wait to read more books by Lisa Heathfield in the very near future! Also another huge thank you to Electric Monkey for having me on the tour and providing me with a copy of Seed ! 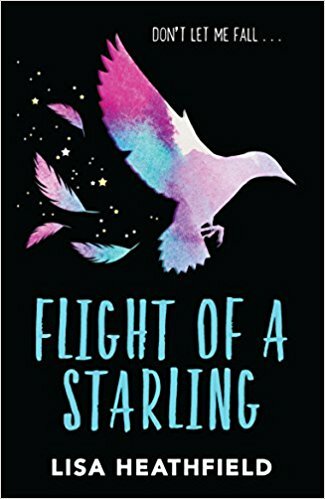 I urge everyone to read this stunning debut! 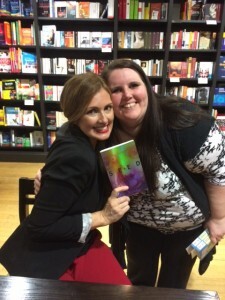 On another note Lisa is a huge fan of Jennifer Niven, author of All The Bright Places and with the help of Electric Monkey who listened to my idea and got me a copy of the book quite quickly I managed to give a copy of Seed to Jennifer Niven at a recent event in Birmingham and get a picture for Lisa! To say Lisa was over the moon is an understatement! I also bought Lisa a copy of All The Bright Places and got it signed for her! One happy author! Thanks to Maggie and Emily at Electric Monkey who helped me organise this and make Lisa’s day! Follow the rest of this awesome blog tour for Seed! Have you read Seed? What did you think? Has my review or this Q&A convinced you to go and grab a copy? Isn’t the cover so pretty! I would love to hear from you! 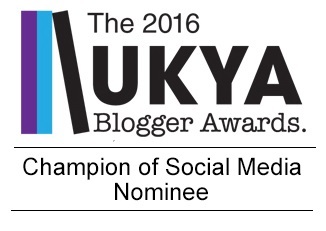 Why not leave a comment by using the reply button at the top of this post or tweet me on twitter using @chelleytoy ! Happy hiding from Papa S….he really is THAT creepy! 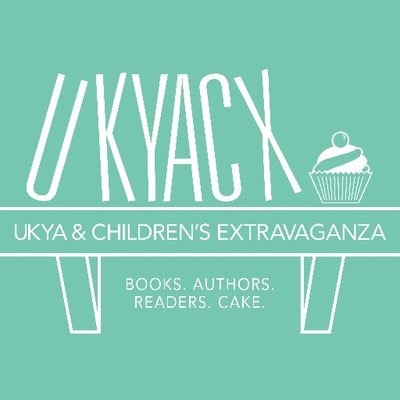 This entry was posted in Author Q&A, Thriller, UKYA, YA and tagged 5, Blog Tour, Electric Monkey, Lisa Heathfield, Q&A, Seed, Thriller, UKYA, YA on April 13, 2015 by Chelley Toy. I was originally sent a review copy of this book by the wonderful author of the book Lisa Heathfield via Electric Monkey. I was also lucky enough to attend the Electric Monkey Blogger Day in February and was given another proof copy which I gave away to another blogger who I knew would love the book! This does not affect my review or my opinions in any way and am delighted to write an honest review. Thank you all for sending / giving this to me to read! 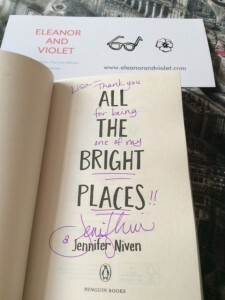 I have also been extremely lucky and received a finished copy of this book from Lisa as a thank you for arranging a surprise for her recently where I managed to get a finished copy of her book (with thanks to Electric Monkey) to one of her favourite authors, Jennifer Niven and get a picture of Jennifer with the book. I also bought Lisa a copy of Jennifer’s book and got it signed for her…so as a very unexpected thank you surprise Lisa sent me a finished copy…..and its SO pretty and beautiful with a stunning dedication!! Thank you Lisa! 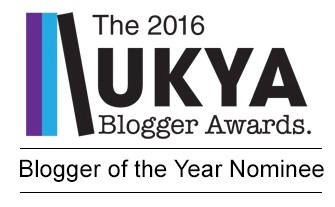 It’s taken me a little longer than normal to write this review! The reason? I fell in love with this book from the minute I started reading it right through to the heart stopping end! This meant that my review may have just contained the words READ THIS BOOK NOW or I LOVE THIS BOOK SO MUCH (which is what I have been telling everyone on twitter) rather than a review so I have taken some time to compose some hopefully thoughtful constructive words that hopefully may do this wonderful book the tiny bit of justice it fully deserves! Seed is a story about a girl called Pearl who was born into and has only ever known the community of Seed. Seed worship nature, are a family and look after each other. They are a community. They live in the Seed world looked after by mother nature. They do not know the outside world. Seed have a hierarchy of Kindred’s who Pearl and the others look up to. They idolise the leader of Seed, Papa S.
Seed is the story of life lived in a cult. When Pearl comes of age will it now be her turn to become the companion of Papa S something she has longed for a long time? 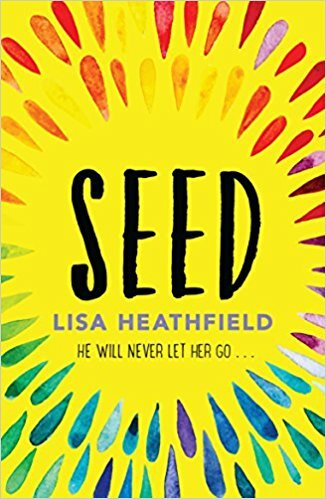 But when Ellis, his mom and his younger sister Sophie arrive from the outside world to join Seed Pearl begins to realise that all may not be a safe haven at Seed and everything she has grown up to believe in may all come crashing down. 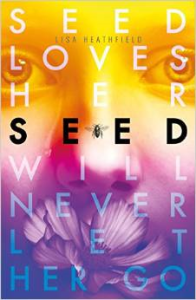 But Pearl struggles to believe that Seed is something other than what she loves. Papa S and the kindred’s love her and will protect her right? Seed is her home. Seed loves her. Seed will never let her go! This book is hauntingly beautiful and deals with such sensitive and often rather unnerving subjects and situations. 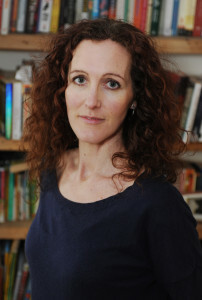 The book is told from Pearl’s perspective and begins with Pearl coming of age. A scary time for Pearl as she has no idea what is happening to her and her body. She believes this is mother nature punishing her and is immediately put through a ritual of being shut in a dark hole for the night as Seed believes, as well as Pearl, that this will make her a woman and she will be able to bear children. This immediately gives you the setting and feel for the book and the character of Pearl as I felt as a reader I was completely drawn into the book and immediately quite protective over Pearl and fully drawn into the community of Seed. Pearl is an adorable, innocent character who I wanted to protect and whilst she comes across as slightly naïve at times as a reader you have to remember that this is what she has been born into. She does not know who her mother is as the women at Seed only birth the children and cannot take that child to be solely theirs. She knows nothing else, yearns to know who her real mother is but at the same time refuses to believe anything else exists outside of Seed. Pearl sees the good in everyone even when times get tough. Pearl believes you should listen only to mother nature…she will save you. She looks after the younger children and I found it adorable that coming of age to Pearl meant she could grow her hair long and wear unpattern skirts (all patterns are false unless created by nature) a sure sign that she is a woman to Papa S *shivers* More on Papa S later! Pearl is friends with and has grown up within Seed with curious Kate, who as she has come of age starts to have questions about the community she has been brought up, and growing up quickly to be a man Jack. What I loved about Kate was that she senses something is not right and is not happy in the community of Seed anymore and feels like there must be more. With this comes a slight sense of rebellion, but then this is reigned in and controlled by the Kindred’s and as Kate and Pearl experience there are severe punishments afoot for anyone questioning the community and having unclean thoughts against mother nature. There is a heart stopping scene when Pearl is put in the forgiveness room for such thoughts which made me fearful and turn the pages faster, but shows the controlling ways of certain aspects of Seed! One of the Kindred’s, Kindred John, invites a family into the community of Seed to “help” them through a tough time in their lives. With this family piano player Ellis arrives and immediately strikes up a friendship with Pearl, Kate and Jack. I loved Ellis as a character! 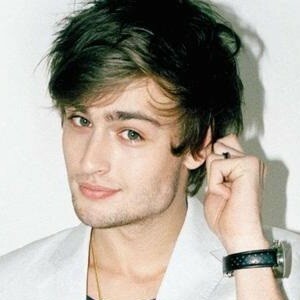 Just loved him! I loved the way he goes along with things for his Mom’s sake, his protectiveness of his little sister Sophie and his realisation about what is going on in Seed is a revelation. He’s experienced the world outside of Seed and he knows right from wrong where at Pearl, Kate and Jack only know the community they have grown up in and as far as they are concerned this is the correct way to live and be happy. Ellis throws everything up in the air asking the question how do you know what you need if you have never seen it? Once particular scene I loved with the four friends is when they get caught in the rain, take off their clothes and dance in a circle. This scene is beautifully written and shows the innocence of these children and the simplicity of wanting to just be children and laugh and play. It shows how strong their friendship is in a single scene. They are unbreakable. I also love the way Pearl falls in love with Ellis’s music when he plays the piano…it’s like nothing she has ever heard before and provides one of my favourite quotes from the book. For me Lisa Heathfield has created one of the most hated controlling characters I think I have ever read! In every part of the book that Papa S, the leader of Seed, is present in it creeped me out. His presence is so masterful and so superior that I feared every page when he appeared where as Pearl looks up to him and idolises him, but at the same times fears him knowing about anything she shouldn’t be doing or any unclean thoughts about Seed. As the story plays out it is evident what Papa S intentions are, but whilst this is done quite evidently with Papa S picking a new companion when he chooses, who then has to walk by his side with a flower carefully placed between their lips to indicate the companionship, anything further implied is done off the page but as a reader you get enough sense of what is going on to work out he is a horrid man! This is obviously exactly what Lisa Heathfield set out to achieve and shows how clever her writing really is as I felt so protective over Pearl and the other children that I hated him and his manipulative ways with a passion and rightly so. What Lisa creates with Papa S, without it being played out onto the page but more behind the scenes so to speak, is a villain who as a reader you will despise and if you are anything like me shout at the book a million times for Pearl and the others to not want to be his companion and to escape Seed forever! I don’t want to go into any more for fear of spoiling this precious gem of a book. For me I was unable to put this book down. This was again due to the writing, the way I felt about the characters and the perfect pacing. I think I even cried when I had to go to the shops as this book was glued to my hands. Seed captured me and my imagination completely. Seed did not want to let me go. I had to make sure Pearl was okay! Surely the sign of a fab book! And the end …..OMG! 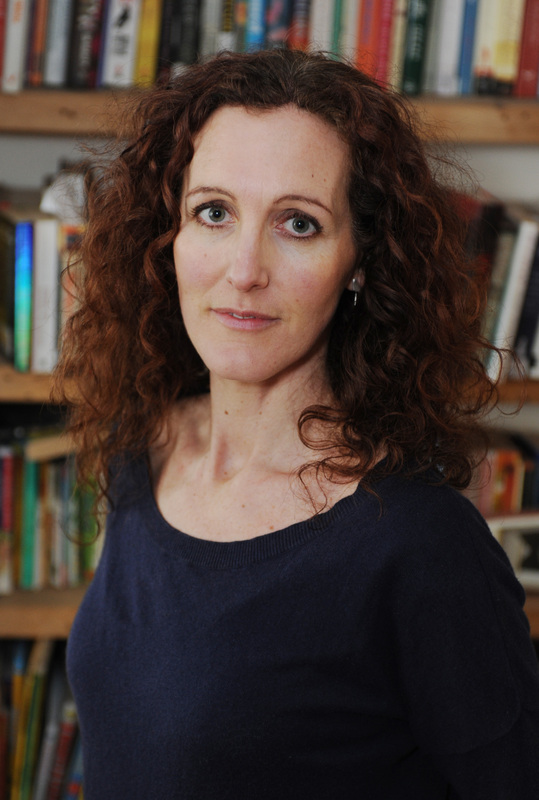 Lisa Heathfield’s writing is stunning and beautiful in such a tender way. Every sentence is enriched with so much care and imaginative description that you fall in love with it. This is Lisa’s debut! A debut! I cannot believe this is a debut book. It’s inspiring. 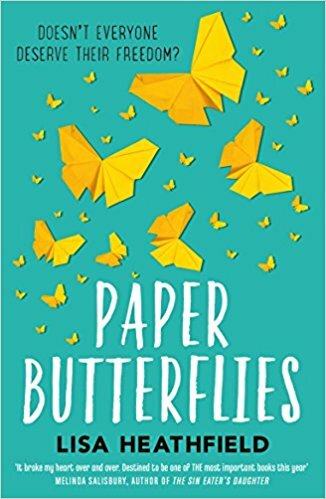 I love Lisa’s writing style and this book so much that I am so excited about what is to come next from this wonderful debut author! I for one cannot wait! I urge everyone to read this book and experience it’s beauty…my words do not do this book justice…go and experience Seed for yourselves…it will stay with you long after reading….it will never let you go! Have you read Seed? What did you think? Has this review convinced you to pick up a copy and read? What do you think of the beautiful cover? I would love to hear from you! Why not leave a comment by clicking the reply button at the top of this page or tweet me on twitter using @chelleytoy ! 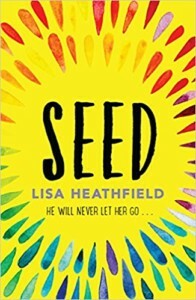 This entry was posted in Contemporary, Review, UKYA, YA and tagged 5, Contemporary, Electric Monkey, Lisa Heathfield, Review, Seed, UKYA, YA on March 29, 2015 by Chelley Toy.